feathers from a single downy or hairy woodpecker, found lakeside, loosely scattered. Sounds like the woodpecker met with trouble. But trouble for the woodpecker is dinner for another. The easing back and forth of nature. Harsh and beautiful! My name is Srdjan, I’m 39 years old, I live in Serbia (ex Yugoslavia). I adore wild animals, especially birds, and lots of my free time, I spend in the nature watching and learning about them. 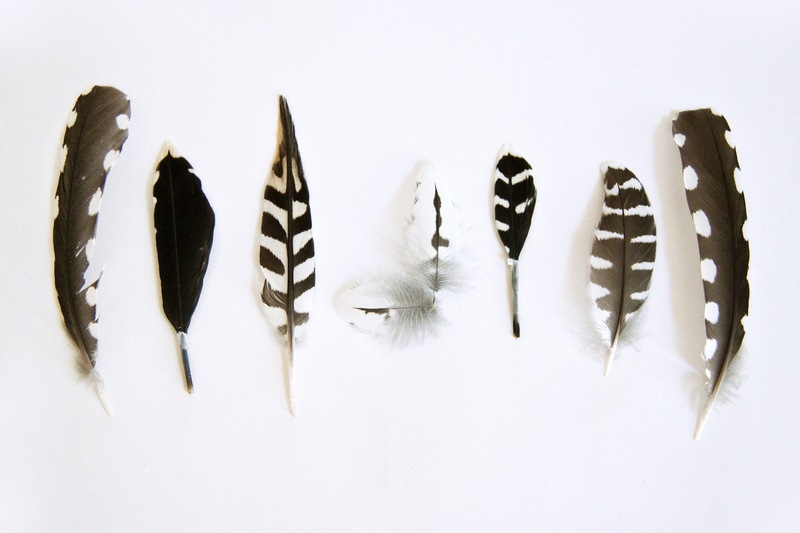 I don’t have proper place for keeping them, so instead of that I have another obsession, I keep the birds’ feathers. I have collected about 400 different kinds of feathers so far. All of them are classified according to Latin terms, the place and the date when I found them. Europe is poor with these species, so in my opinion it is a success. I didn’t harm any individual in any way. I turn to you in this way, hoping that you can help me to enlarge my collection. I have a lot of literature about birds, so if you do have any promotion material you can send me. I would like to have it in my library collection, or you can send me anything as a cherished souvenir. I send my greetings to you, and I hope that at least you will send me the answer back. PLEASE SEND ME SOME FEATHERS PLEASE.